Mea Vita: Carpe Diem: Please make a voice call to 911. 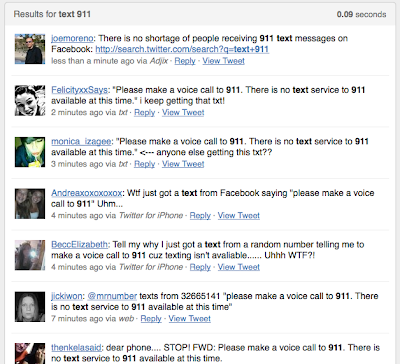 "Please make a voice call to 911. 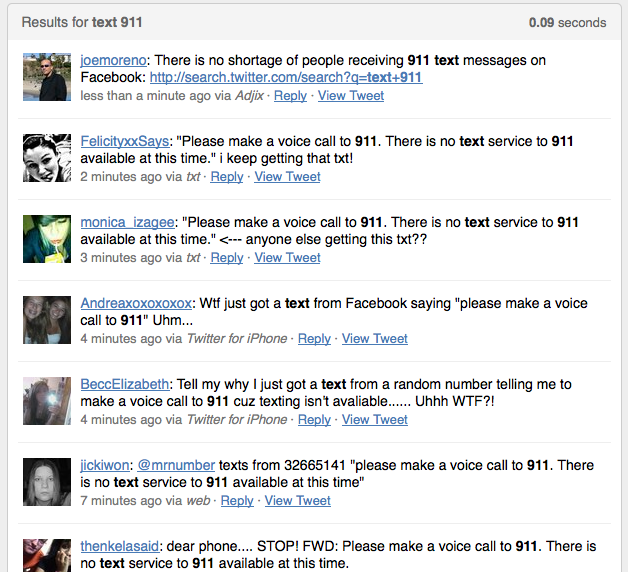 There is no text service to 911 available at this time." If you have your Facebook account tied to your Verizon cell phone then you may have repeatably received this message, tonight. Neither the news nor bloggers have reported this incident - but, the Twittershpere is buzzing with complaints about it. I'm betting that it's a bug in Verizon's cell phone network as they get read to roll out the iPhone. In the mean time, your best bet to stop the repeated text messages is to log into your Facebook account and remove your cell phone number.